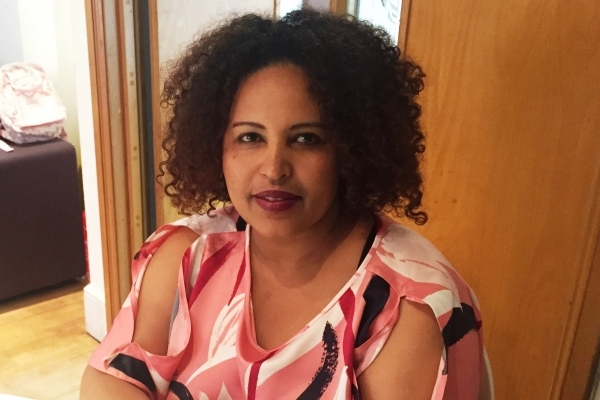 Yeshareg, 35, is from Eritrea. Her children Mariam, 11, and Jemal, 6, have been coming to our Community Literacy Lab at The Abbey Centre, Westminster, since May 2018. “I came to the UK 12 years ago from Eritrea. I didn’t go to school back home and I don’t read and write well myself. I have attended some English classes and the teacher suggested I might have dyslexia. My children are both very keen to learn but, on my own, I don’t feel equipped to help them. That’s why the Community Literacy Lab is brilliant. My daughter, Mariam, reads fluently but she needs to improve her English comprehension – she finds it tricky understanding all the details. Her tutor has been helping her with this. My son, Jemal, is very quiet. He was born in August and is the youngest in his class at school. His speech was delayed – in Reception he never spoke. He was assessed for speech and language difficulties, but was found not to have any barriers. For him, it is about gaining confidence and expanding his vocabulary. He likes reading and enjoys discussing books with his tutor. My daughter wants to be a business woman or maybe an accountant, one day. She really likes numbers. Jemal isn’t sure what he wants to do yet. He really likes maths too and is always concentrating hard. I think maybe he could make a good scientist. Could you become a volunteer in one of our Community Literacy Labs?